A game playing, college teaching, erudite-minded scholar who happens to write some articles every so often. 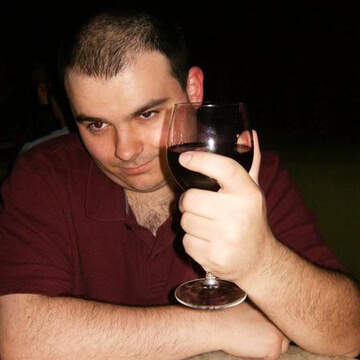 Have worked as a journalist, critic, educator and blogger for nearly five years now, with articles published (as user editorials) on Game Revolution, Giant Bomb, and as a contributor for the websites Angry Bananas and Blistered Thumbs. Now making TechRaptor my home. ToeJam & Earl: Back in he Groove is a straightfroward game that really struggles to find any form of relevance beyond its nostalgia factor. SoulCalibur VI as a fighting game is all style over substance. While it retains most of its tactical combat it is easily the most user-friendly title in the series and for some longtime fans, that may be more discouraging than a return to form. Strange Brigade oozes personality and has a strong in-game aesthetic, capturing the charismatic essence of 1930s pulp adventure stories. Sadly, it suffers heavily from mediocre controls and repetitive gameplay, making it a hard sell for even the most intrepid explorer. Octopath Traveler strays from the path of expectations. In taking the road less traveled, it becomes a journey that all should experience for themselves. Purposefully dark and disturbing, My Lovely Daughter doesn't have much in the way of gameplay mechanics, but what it does have serves a greater purpose to the games overall themes. Dragon's Crown Pro easily captures the feel of an arcade-style beat-em up, despite some nagging issues of repetition. Still, it is a fun game that will be a pleasure to play through in the right circumstances. I really wanted to like Kingdom Come: Deliverance more than I did, but at the end of the day the conflicting mechanics only compound the technical and narrative flaws the further you get into the game. Mutant Football League is mindless fun, which is all an arcade football game should be, but outside of the grotesque humor there is nothing else to really latch onto other than the bare-bones gameplay and lack of gameplay features. The Arcade Edition added features give it a lot of meat for sure, but the irony is most of it is ultimately filler to the core gameplay experience that was first available in 2016. This leaves Street Fighter V: Arcade Edition in a curious middle ground of being an excellent niche product, but only a “good” video game. Chess Ultra is an almost perfect digital recreation of the classic game. It's visually appealing, provides numerous features to tailor-make your experience and relies on few gimmicks to sell Chess as a video game. Thought provoking and emotionally charged, Don't Make Love is a title worth trying for yourself, especially if the mood for something less gamey and more emotional is right up your alley. Even a game like Pokémon Ultra Sun and Ultra Moon, which is objectively better than its predecessor, needs a little life breathed into it to escape the tedium. School Girl/Zombie Hunter is just brainless in the worst kind of way; trying to pass itself off as being fun while being devoid of any fun factor.